Automate Your Technology for Shipping & Fulfillment, Can you see the Light? Experience the convenience of Engineering Innovation’s LightSort Sorting Systems. 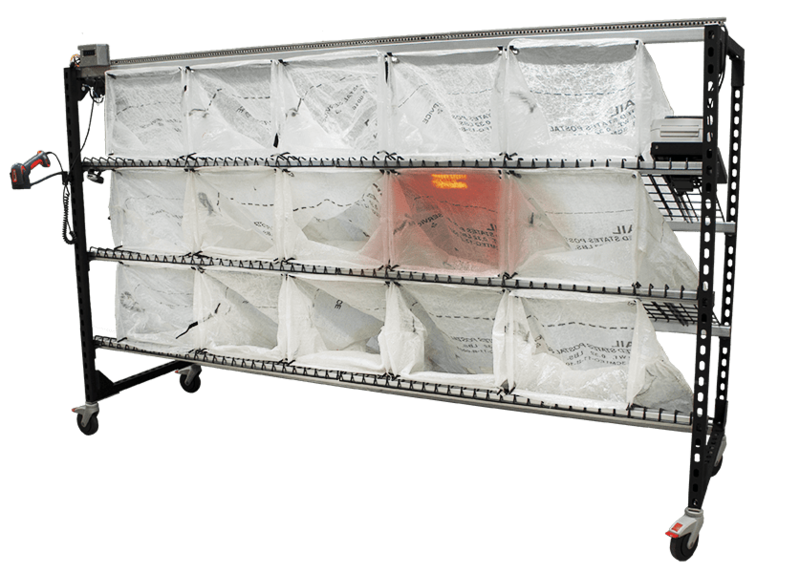 This low-cost and easily configurable technology makes parcel sorting a quick and easy task. This parcel sorting solution requires minimal training and uses a hands-free ring scanner that will cause the correct bin to light up when you scan the barcode on each package. The intuitive LightSort process enables efficient sorting that reduces the risk of mistakes while it saves time preventing the need to match labels to bins manually. Move and reconfigure the racks and bins however you need to and as your needs change. You can even retrofit existing racks with LightSort technology for maximum convenience and minimal invasiveness on your current configuration.